TR Property Investment Trust plc (“TR Property”) appreciates the opportunity to help you meet your financial needs. From the day TR Property was founded in 1905, earning and keeping your trust has been at the very core of our business. We are committed to respecting and protecting the Personal Data that you entrust to us. It is important for you to understand what Personal Data we will collect, how we will use it, and who may see it. We have strict policies and procedures governing how we deal with your Personal Data. Every employee is responsible for respecting and protecting the Personal Data that they have access to.Our Data Protection Officer oversees how we deal with your Personal Data. Please see Contact us for information on how to reach our Data Protection Officer. When we collect your Personal Data, we may use or disclose it for the following purposes. Below each purpose, we note the lawful basis that allows that use of your Personal Data. There is often more than one lawful basis for each purpose. Annex B provides further detail on the scope of the lawful bases. To provide and manage products and services you have requested: to deliver our services and products to you, or to notify you about changes to them. To verify your identity, protect against fraud and manage risk: we and other organisations may access and use certain Personal Data to prevent fraud, money laundering and terrorism, or other criminal offences, as may be required by applicable law and regulation and best practice at any given time. This could include checking against sanctions, politically exposed persons and other fraud or crime screening databases. If false or inaccurate information is provided and fraud is identified or suspected, we may pass your details to fraud prevention agencies and we or these agencies may store these details for record keeping purposes. To comply with legal or regulatory requirements, or as otherwise permitted by law: we may process your Personal Data to comply with our legal or regulatory requirements, communicate with our regulators, defend or prosecute claims as applicable, or conduct regulatory reporting as applicable. This could include passing your Personal Data to third parties, court services and/or regulators or law enforcement agencies in connection with enquiries, proceedings or investigations by them anywhere in the world. To communicate with you regarding products and services that may interest you: to send you updates and offers (if you have chosen to receive these). We may also use your Personal Data for marketing our products and services to you by post, email, phone, SMS, online or through social media adverts. Where required by law, we will ask for your consent at the time we collect your Personal Data to conduct any marketing. We will provide an option to unsubscribe or opt out from any further electronic marketing communications. You can opt out by contacting us or using the unsubscribe link provided in any of our electronic marketing communications. To understand our customers and develop and tailor our products and services: we may analyse the Personal Data we hold in order to better understand our clients’ service and marketing requirements, to better understand our business and to develop our products and services. To ensure that content from our websites is presented in the most effective manner for you and for your device, we may pass your Personal Data to business partners, suppliers and/or service providers. To re-organise or make changes to our business: If we negotiate and/or sell part or all of our business to a third party, or undergo a significant corporate re-organisation, we may need to transfer some or all of your Personal Data to the relevant third party (or its advisors) as part of any due diligence process and use it for the same purposes as set out in this policy, or for the purpose of analysing any proposed sale or re-organisation. To respond to any questions you may have: we may be required to process your Personal Data to conduct, and keep a record of, our correspondence with you. We may monitor calls and transactions to ensure service quality, to comply with law and regulation and our internal procedures and to combat fraud and other criminal activity. If a new purpose for using your Personal Data develops, we will update this policy to identify that purpose. Some of our processing is permitted by legal bases other than consent (see section 2 above). in relation to Direct Marketing, where we must do so, we will obtain your consent before using your Personal Data for this purpose. If you do not want to receive our Direct Marketing communications and/or do not want your Personal Data for the purpose of marketing, you can have your name deleted from our Direct Marketing and/or shared information lists. If you want to change your privacy preferences, please contact us or use the unsubscribe link provided in any of our electronic marketing communications. In relation to the processing of criminal convictions data and politically exposed persons’ Personal Data to the extent another legal basis cannot be applied, we rely on your consent. Such consent is necessary for us to provide our services; if you withdraw this consent, we may have to stop providing certain services to you. Contact information: information including your address, telephone number and email address. Information you provide about others: we may require information about third parties such as your immediate family members. You must have their permission to give us their information and you need to let them know how we use their information before providing it to us. Anti-crime and fraud information: information you or third parties provide us that establishes your identity (such as driving licences, passports and utility bills) and other related information (such as addresses, phone numbers, email addresses, signatures and work histories) that enables us to verify that you are neither suspected nor a victim of fraud, other criminal offences or suspicious transactions, and that your details do not appear on politically exposed persons and sanctions lists. Financial Information: information to ensure that any products and services we provide you with are appropriate and suitable for you. Your transactions and holdings: details of transactions or investments that you have made or initiated with us. Our correspondence: details of any correspondence between us and you (verbal or in writing). Device information: information about your operating system, browser, software applications, IP address, geolocation, security status and other device information in order to improve your experience, to protect against fraud and manage risk. Marketing preference information: details of your marketing preferences (e.g. communication preferences) and information to help us choose appropriate products and services to offer you. Email tracking: information our emails may contain a single, campaign-unique “web beacon pixel” to tell us whether our emails are opened and, combined with other technology, verify any clicks through to links within the email. We may use this information to determine which of our emails are more interesting to you and to query whether users who do not open our emails wish to continue receiving them. This information may include Personal Data. The pixel will be deleted when you delete the email. If you do not wish the pixel to be downloaded to your device, please select to receive emails from us in plain text rather than HTML, or choose not to click links that we send you or unsubscribe from the receipt of our emails. Call recordings and CCTV: we may monitor or record our telephone calls with you for service quality or training purposes and to establish a record of our communications for regulatory recordkeeping purposes, including for the prevention and detection of fraud. If you do not wish to have your call recorded, you have other options to conduct business with us, such as online, or by contacting us in writing. We may record CCTV footage in and around our premises and other locations for the safety of our clients and employees, and to protect against theft, property damage and fraud. We will only use or disclose your Personal Data for the purpose(s) it was collected for and as otherwise identified in this Privacy Code. when required to satisfy the legal or regulatory requirements such as a court order. Unless prohibited by law, we can give you details of any such third party disclosures upon request. Sharing within TR Property: we may share your Personal Data within the TR Property Group, including locations outside of the European Economic Area (EEA) for marketing purposes, for legal and regulatory purposes, to manage business risks, to perform analytics, to ensure we have correct or up-to-date information about you (such as your current address or date of birth) and to better manage your relationship with us. Business sale or re-organisation: over time, we may buy new business or sell some of our business. Personal data associated with any accounts, products or services of the business being sold will be reviewed as part of the due diligence process and subsequently transferred as a business asset to the new business owner. We may also transfer Personal Data as part of a corporate re-organisation or other change in corporate control. Sub-contractors and agents: we may use affiliates or other companies to provide services on our behalf or to enable us to offer and provide our products and services to you, such as data processing, account administration, fraud prevention and detection, analytics and marketing. We will only give these companies the Personal Data needed to perform those services. We do not authorise them to use or disclose your Personal Data for their own marketing or other purposes. We have contracts that hold these companies to the same standards of confidentiality and information security that govern us. Transfers outside the EEA: your Personal Data may be accessed by staff or suppliers in, transferred to, and/or stored in a country outside the EEA, in which data protection laws may be of a lower standard than within the EEA. Regardless of location, we will impose the same data protection safeguards that we use inside the EEA. Certain countries outside the EEA have been approved by the European Commission as providing essentially equivalent protections to EEA data protection laws (see the full list here) and therefore no additional safeguards are required to export Personal Data to these jurisdictions. In countries which have not been approved, we will establish a legal basis to justify transferring Personal Information, such as contractual terms approved by the European Commission that impose equivalent data protection obligations directly on the recipient. Our retention periods for personal data are based on business needs and legal requirements. We retain Personal Data for as long as is necessary for the processing purpose(s) for which the information was collected, and any other permissible, related purpose. For example, we may retain certain transaction details and correspondence until the time limit for claims arising from the transaction has expired, or to comply with regulatory requirements regarding the retention of such data. When personal data is no longer needed, we either irreversibly anonymise the data (we may further retain and use the anonymised information) or securely destroy the data. We are committed to keeping your Personal Data accurate, complete and up-to-date. If you discover inaccuracies in our records, or your Personal Data changes, please notify us immediately so that we can make the necessary changes. Failure to notify us of changes to your Personal Data may negatively impact the way we communicate or provide services to you. Where appropriate, we will advise others of any material amendments to your Personal Data that we may have released to them. If we do not agree to make your requested amendments, you may challenge our decision as described in Contact Us. We use an extensive range of safeguards to protect your Personal Data. We have agreements and controls in place with third party service providers requiring them to safeguard any Personal Data we provide to them and use the Personal Data only for the purpose of providing the service we have requested them to perform. From time to time, we may make changes to this Privacy Code. Where we have your email address, we may email you if the changes are material. Otherwise, we will not. We therefore recommend that you check the Code from time to time. TR Property will usually determine the purpose of processing your Personal Data and the way in which it is processed. Sometimes the company will do it jointly with others, depending on the products and services you use. Data protection contact details of these companies can be found in the Contact Us section. Personal Data must be processed in line with your rights as a Data Protection Officer. In the EU, Data Subjects generally have the rights listed below. However, these are subject to certain exceptions and variations in different EU member states. If in doubt, please Contact Us. Subject access: be provided access to a copy of any Personal Data held about them. Rectification: require inaccurate Personal Information be amended. Erasure: require erasure of Personal Data in certain circumstances. Where the data has been disclosed to third parties for processing, Data Subjects can require us to take reasonable steps to inform them that they have requested its erasure of any links to copies of or replication of it. Withdrawal of consent: withdraw any consent to processing that they have given us and prevent further processing if there is no other ground under which we can process their Personal Data. Restriction: require certain Personal Data to be marked as restricted while complaints are resolved, and also restrict processing in certain other circumstances. Portability: have their Personal Data transmitted in a commonly used machine-readable format to them or another company that determines the purposes and means for which Personal Data is processed. Prevent processing: require us to stop any Personal Data processing based on the legitimate interests ground, unless our reasons for undertaking that processing outweigh any prejudice to their data protection rights. Marketing: require us to prevent processing (including profiling) of Personal Data for direct marketing purposes. Your exercise of these rights is subject to certain exemptions under EU or local law, such as exemptions to safeguard the public interest (e.g. the prevention or detection of crime) and our interests (e.g. the maintenance of legal privilege). If you exercise any of these rights, we will check your entitlement and will aim to respond within a month. If you are not satisfied with our use of your personal information or our response to any exercise of these rights, you can complain to the relevant Data Protection Regulator. Cookies are small text files that are stored on your device when you visit certain web pages. They provide us with valuable information and feedback, such as how and when pages on the website are visited, and what our users’ technology preferences are. Strictly necessary cookies: these are essential in order to enable you to move around a website and use its features, such as accessing secure areas of the website. Without these cookies, certain services you may have asked for cannot be provided. These cookies do not gather information about you that could be used for marketing or remembering where you have been on the Internet. Performance cookies: these collect information about how visitors use a website, for instance which pages visitors go to most often, and if they get error messages from web pages. These cookies do not collect information that identifies a visitor. All information these cookies collect is anonymous and is only used to improve how a website works. Functionality cookies: these allow a website to remember choices you make (such as your username, language or the region you are in) and provide enhanced features. These cookies can also be used to remember changes you have made to text size, font and other parts of web pages that you can customise. They may also be used to provide services you have requested, such as watching a video. The information these cookies collect may not always be anonymous, but these cookies are not able to track your browsing activity on other websites. By using our website, you agree that we can place these types of cookies from us and third parties (such as Google Analytics, YouTube, MailChimp, Brighter IR and Financial Express) on your device. Click here for further information about cookies in general and instructions for managing cookies on many commonly used browsers. Alternatively, you can consult your browser provider for such instructions. Our emails may contain a single, campaign-unique “web beacon pixel” to tell us whether our emails are opened and, combined with other technology, verify any clicks through to links within the email. We may use this information for determining which of our emails are more interesting to you and to query whether users who do not open our emails wish to continue receiving them. The pixel will be deleted when you delete the email. If you do not wish the pixel to be downloaded to your device, please do not to click our emails or links that we send you, or unsubscribe from the receipt of our emails. This information may be connected to your personal identity. Data Subject the person to whom the Personal Data relates. A TR Property Group entity established in the EEA determines the purposes and means for which this person’s Personal Data is processed. Personal Data is any information relating to an identified or identifiable Data Subject, i.e. one who can be identified, directly or indirectly, in particular by reference to an identifier such as a name, an identification number, location data, an online identifier or to one or more factors specific to the physical, physiological, genetic, mental, economic, cultural or social identity of that individual. For the purposes of this Privacy Code, Personal Data is that which a TR Property Group entity established in the EEA processes. Please find below a description of the various legal bases that we rely upon to justify our processing of your Personal Data, with a description of each basis. Consent. You have given your consent to the processing of your Personal Data for one or more specified purposes. You are free to withdraw your consent by notifying TR Property Investment Trust plc. Where you do so, we may be unable to provide a service that requires the use of such Personal Data. For our legitimate business interests. Processing is necessary for the purposes of the legitimate interests pursued by us or by a third party, except where such interests are overridden by your interests or fundamental rights and freedoms which require protection of Personal Data. These legitimate interests are set out next to each purpose. Your explicit consent. You have given your explicit consent to the processing of those Personal Information for one or more specified purposes. You are free to withdraw your consent, by visiting Contact Us. Where you do so, we may be unable to provide a service that requires the use of such Personal Information. For legal claims. Processing is necessary for the establishment, exercise or defence of legal claims, or whenever courts are acting in their judicial capacity. In the substantial public interest. Processing is necessary for reasons of substantial public interest on the basis of EU or UK law. Please read this section carefully as it details the terms and conditions of using our website (“TR Property Website”, “TRPIT Website”, or the “Website”). By using any part of the Website, you agree to these terms and conditions. We periodically review our terms and conditions to ensure they remain relevant and up to date and so may change them at any time. You can always find the latest version on our Website. TR Property Investment Trust plc operates this website and is registered in England and Wales (Company Registration No. 84492). Its registered address is at 11-12 Hanover Street, London W1S 1YQ, VAT No: GB 397 1019 39. You can contact us at this link. Your privacy is important to TR Property Investment Trust plc (“TR Property” or “we” or “us”). Please read our privacy and cookies policy above to better understand how we use your personal information. The information on this Website is not intended to, nor does it create, any contract or any other legal rights or obligations between us or between you and any other member of TR Property. Please make sure that you are within the correct section of this Website, relevant to your country of residence and/or investor status before proceeding further. As products and services mentioned on this Website are subject to local legal and/or regulatory requirements in applicable countries and may not be available in all countries, you must not access sections, or view content, not aimed at your country of residence and/or investor status. The products and services described on this Website are only registered for sale in certain countries. Please make sure, before you consider investing in any product or receiving any service detailed on this Website, they are available in your country of residence and you are eligible to invest in such product or receive such service. Please note that none of the investment products detailed on this Website are registered under the United States Securities Act of 1933, and so offered or available for sale in the United States or to United States residents. These investment products are also not offered or made available for sale to any person in any country where this is contrary to local law or regulation.You should not treat anything on this Website as offering to sell or inviting you to purchase any products where it is illegal to do so. You must also not use any information from, nor promote any products or services detailed on, this Website in any country and/or to any investors where prohibited by local law or regulation. Please remember that past performance is not a guide to future results. The value and any income received from investments can go down as well as up and may be affected by exchange rate fluctuations. Therefore, you may not get back the full amount invested in any investment product.You must only apply to invest in any investment product detailed on this Website based on the offering documents relating to the specific investment product (including any Key Information Document, Key Investor Information Document, or pre-sale costs and charges disclosure) which we provide or make available to you no later than at the time of investment. Depending on your individual circumstances, the investment products and services described on this Website may have tax implications for you. If you are at all unsure as to these implications, please consult a specialist tax adviser before investing. This Website is protected by copyright. The use, publication, or redistribution of any trademarks and logos displayed on, or any of the information contained within, this Website without the prior written consent of TR Property is strictly prohibited. ® F&C, F&C Monogram, F&C Investments Monogram, F&C Investments, FANDC, FandC, fandc, Thames River, Thames River Capital and BMO Global Asset Management are registered trademarks of F&C Management Limited. We make every reasonable effort to maintain the availability of this Website. However, we cannot guarantee this. This Website and the information on it may also change from time to time. We take care when compiling and maintaining the information contained on this Website. However, we cannot promise that the information on it will always be accurate, reliable, current, or complete, particularly if we receive it from third parties. TR Property is not responsible for any use, or misuse, of the information on this Website. TR Property is not responsible for the content of any external websites linked to the Website, or any products or services offered through such external websites. If you use any of these external websites, you do so at your own risk. This website may contain FTSE, Morningstar and S&P data. Source: FTSE International Limited (“FTSE”) © FTSE 2017. “FTSE®” is a trademark of the London Stock Exchange Group companies and is used by FTSE International Limited under licence. 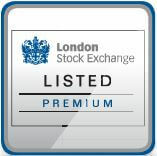 All rights in the FTSE indices and/or FTSE ratings vest in FTSE and/or its licensors. Neither FTSE nor its licensors accept any liability for any errors or omissions in the FTSE indices and/or FTSE ratings or underlying data. No further distribution of FTSE Data is permitted without FTSE’s express written consent. ©2017 Morningstar. All Rights Reserved. The information, data, analyses, and opinions contained herein (1) include the proprietary information of Morningstar, (2) may not be copied or redistributed, (3) do not constitute investment advice, (4) are provided solely for informational purposes, (5) are not warranted to be complete, accurate or timely; and (6) may be drawn from fund data published on various dates. Morningstar shall not be responsible for any trading decisions, damages, or other losses resulting from information or its use. Please verify all of the information before using it and do not make any investment decision except upon advice of a professional financial adviser. Past performance is no guarantee of future results. The value and income derived from investments may go down as well as up. Copyright © 2017, S&P Capital IQ (and its affiliates, as applicable). This may contain information obtained from third parties, including ratings from credit ratings agencies such as Standard & Poor’s. Reproduction and distribution of third party content in any form is prohibited except with the prior written permission of the related third party. Third party content providers do not guarantee the accuracy, completeness, timeliness or availability of any information, including ratings, and are not responsible for any errors or omissions (negligent or otherwise), regardless of the cause, or for the results obtained from the use of such content. Source: MSCI. The MSCI data is comprised of a custom index calculated by MSCI for, and as requested by F&C Management Limited. The MSCI data is for internal use only and may not be redistributed or used in connection with creating or offering any securities, financial products or indices. Neither MSCI nor any other third party involved in or related to compiling, computing or creating the MSCI data (the “MSCI Parties”) makes any express or implied warranties or representations with respect to such data (or the results to be obtained by the use thereof), and the MSCI Parties hereby expressly disclaim all warranties of originality, accuracy, completeness, merchantability or fitness for a particular purpose with respect to such data. Without limiting any of the foregoing, in no event shall any of the MSCI Parties have any liability for any direct, indirect, special, punitive, consequential or any other damages (including lost profits) even if notified of the possibility of such damages. Source: MSCI. The MSCI information may only be used for your internal use, many not be reproduced or redisseminated in any form and may not be used as a basis for or a component of any financial instruments or products or indices. None of the MSCI information is intended to constitute investment advice or a recommendation to make (or refrained from making) any kind of investment decision and may not be relied on as such. Historical data and analysis should not be taken as an indication or guarantee of any future performance analysis, forecast or prediction. The MSCI information is provided on an “as is” basis and the user of this information assumes the entire risk of any use made of this information. MSCI, each of its affiliates and each other person involved or related to compiling, computing or creating any MSCI information (collectively the “MSCI Parties”) expressly disclaims all warranties (including, without limitation, any warranties of originality, accuracy, completeness, timeliness, non-infringement, merchantability and fitness for a particular purpose) with respect to the information. Without limiting any of the foregoing, in no event shall any MSCI Party have any liability for any direct, indirect, special, incidental, punitive, consequential (including, without limitation, lost profits) or any other damages. (www.msci.com). Email is not a secure method of communication. We cannot guarantee that we always receive e-mails you send us over the internet, nor can we guarantee the privacy and/or security of e-mails, including any emails containing confidential information or instructions directed to any member of TR Property. All visits, content, and use of the Website, as well as these Terms and Conditions, are subject to, and governed by, the laws of England and Wales. If any dispute arises from your use of the Website or any of the information on it, you agree that the Courts of England and Wales will have exclusive authority to resolve such dispute.